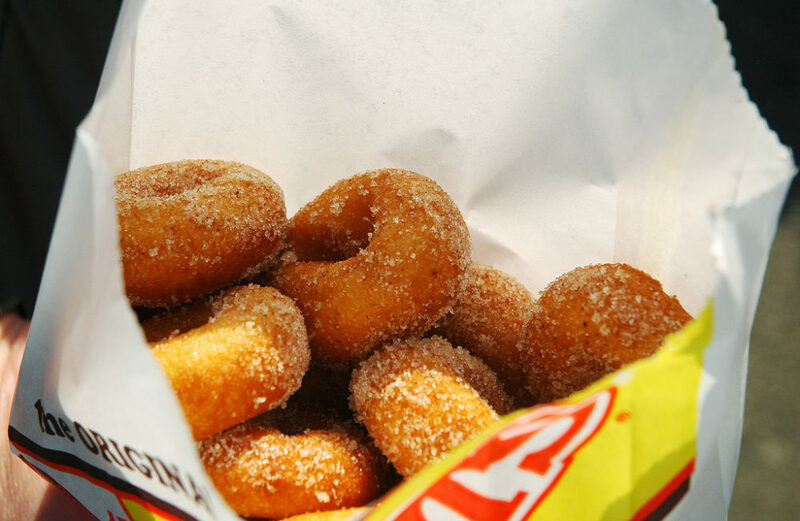 Mini Donuts are the first concession stand you look for when you head down the midway at the county fair. Everyone loves those hot little sugar coated donuts. The whole Mini Donut process itself consists only of a dry mix that requires adding water to form the batter. Then, just fill the hopper on the machine and it will automatically drop little ringlets of dough into the hot oil. Your tasty Mini Donuts will travel the length of the oil bath where they flip out onto a pan of cinnamon sugar. Then, your Mini Donuts are ready to be bagged and sold. Top that off with the fact that your supplies don’t require refrigeration and — this type of donut business looks even better! At the end of the day, putting your supplies away simply means siphoning the oil out of the fryer, and putting the bag of dry mix in the cupboard. 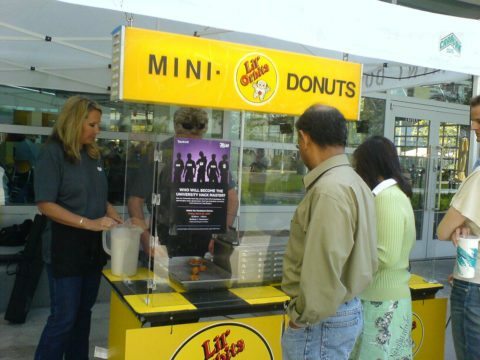 The #1 Mini Donut concession business is Lil’ Orbits. They’ve been building Mini Donut equipment since 1974 and know all about setting up a new enterprise. Lil’ Orbits survives on the concept of Action Attraction. Produce the aroma. When cooking Lil’ Orbits mini-donuts passers-by can’t miss it, they’ll follow the aroma to the source. Display the process. Kids especially love to watch the progress of mini-donuts through the fully visible cooking process. When the mini-donuts drop into the serving tray, they’re placed into bags and sold to customers — hot and ready to eat. A mobile Mini Donut business offers great flexibility since you can move your concession stand to wherever the crowd may be. Throughout the country festivals, special events, and neighborhood street fairs take place every week. Sites like Festival Network Online provide date, location, and all information needed to secure a vending spot for your Mini Donut concession stand. This makes it easy to establish a schedule that meets your availability and income requirements. Your Mini Donut operation can be as big or small as you like. 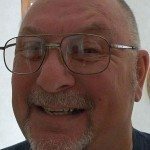 Where I live in Duluth Minnesota, we have large events like the Bayfront Blues Festival and the Land of the Loon Festival in Virginia, Minnesota — a few miles to the north. Both are very large and popular events with many different food vendors setting up shop. A local Mini Donut vendor owns 2 small concession trailers which he uses to work these and other events in the area. Most special events take place on weekends. During the week, he has his 2 concessions trailers set up at local convenience store parking lots on opposite ends of town. This enables him to take advantage of day-to-day local foot traffic. The opportunities are endless with Mini Donuts — simply because they sell themselves! With $.25 as your investment for a dozen bags for these tasty little donuts, and a selling price that is currently between $3.50 and $4.00, you can make a pretty nice living in the right location. If you were to buy new equipment, the investment might be a bit scary. Fortunately, there is plenty of used Mini Donuts equipment for sale. If you’re going to set up your business in a permanent location, you should go with a state-of-the-art layout designed specifically to meet the requirements of your local Health Department. If you plan on working a variety of outdoor events, many vendors convert old travel trailers to meet the requirements of the Health Department. It doesn’t need to be new and super fancy. Usually, a nicely painted trailer that is clean and properly outfitted with easy-to-clean surfaces will do. Not Ready To Buy? You Can Rent! Still feeling a bit apprehensive about the whole idea? Maybe you should rent a Mini Donut machine for a day and give the whole plan a test run before you commit to the idea. You can make donuts for the neighborhood kids, as a test to see if this is what you would want to do on a larger scale at local events.